Matrix has just released its trio of 1:43 Stirling Moss Ferrari 250 GT replicas, all of which are from events that the living legend crossed the line first in. The white roundel #7 car was victorious in the 1960 Goodwood TT. Moss led from the start until having to pit to change tyres, but then moved his way back up the field as his competitors did likewise. Later in the year Moss added victory in the Nassau TT race (this in the #5 machine) in the Bahamas to his résumé. The #7 250 GT with the light blue roundels is another Goodwood TT winner; this one from 1961. 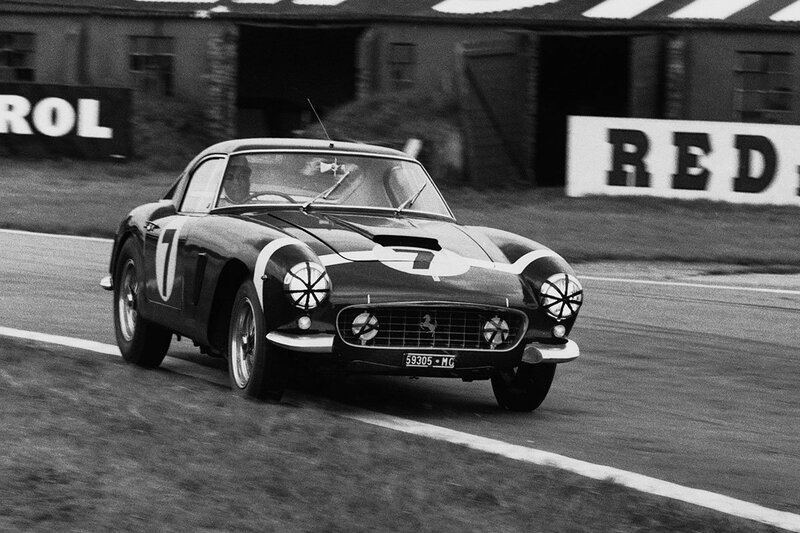 On this occasion Stirling faced stiff competition from the similarly-equipped Mike Parkes, who was driving a Maranello Concessionaires-entered example. The two duelled for the first part of the race, but Parkes took a lot more out of his tyres with his more flamboyant driving style. This allowed Moss to ease away and take a relatively untroubled victory come the end. These replicas have been released in Matrix’s new Racing Car Collection, which has gone down a storm with collectors. You can’t rely on them being available for long.